Price includes your one color imprint on white vinyl. Positive or reverse imprint. Imprint area: about 2 3/4" by 1 1/8". Set-up charge: $45.00. Repeat orders: $30.00. Made in the USA. 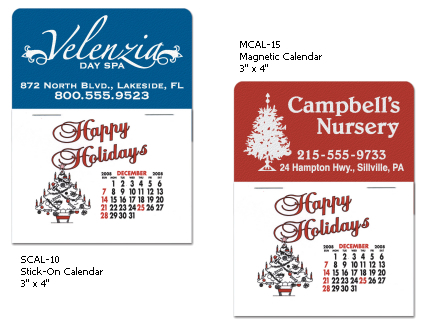 Price includes your one color imprint on .034 magnetic material. Positive or reverse imprint. The Imprint area is about 2 3/4" by 1 1/8". Set-up charge: $45.00. Repeat orders: $30.00. Made in the USA.